Member of the Welfare Committee of the Baltic Assembly Monika Haukanõmm will present a report on the practical organisation of cross-border health care in the Baltic States at the thematic debate in plenary session of the Benelux Parliament in The Hague today. President of the Baltic Assembly Aadu Must and President of the Benelux Parliament André Postema will also sign a cooperation agreement in The Hague. 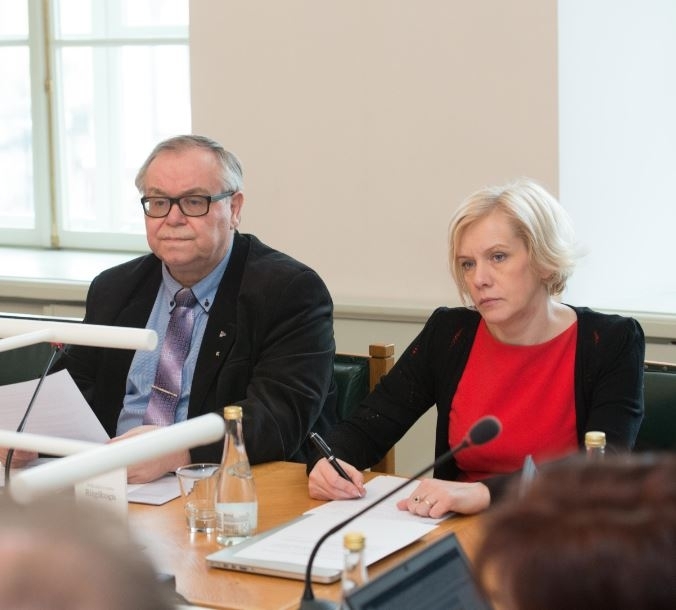 In her report, Haukanõmm will focus on the cooperation experience between the Baltic Assembly and the Baltic Council of Ministers in removing obstacles from the cross-border cooperation of the Baltic health care sectors. “Free movement of people is one of the fundamental values of the European Union, and it has to guarantee people the right to get health care services smoothly also in other Member States,” Haukanõmm said. “The best example here is the situation in the Estonian-Latvian twin town Valga-Valka, where a person may need health care when they are on the other side of the border,” Monika Haukanõmm added. Thematic plenary session “Patients without borders: eliminating barriers in the Benelux”, held in The Hague, will deal with cross-border health care services in the Benelux and the European Union as a whole. Free movement of patients and labour, elimination of cross-border barriers, providing cross-border social services and first aid to patients, and protection of the rights of those who need help will be discussed. President of the Baltic Assembly Aadu Must and President of the Benelux Parliament André Postema will also sign a Decision on Priorities. This will set the priorities for the cooperation between the Baltic Assembly and the Benelux Parliament for 2017–2018. Aadu Must said that the agreement would emphasise detailed treatment of the issues emerging in areas of shared interest. “In addition to mutual cooperation of smaller countries in the European Union, this agreement will also concern issues connected with circular economy,” Must said. 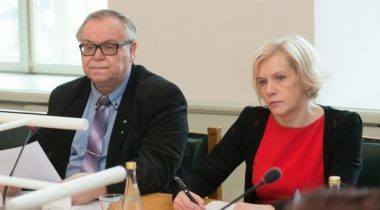 President of the Baltic Assembly Aadu Must and member of the Welfare Committee of the Baltic Assembly Monika Haukanõmm are in The Hague on 23–25 March within the framework of cooperation between the Benelux Parliament and the Baltic Assembly.